Our counselors are uniquely gifted to bring God’s healing change in to the lives of those who seek it. God utilizes these gifts to help our clients cope with depression, anxiety, grief, substance abuse, chronic mental illness, addiction, family and marital conflict, as well as other critical life issues. Biblical wisdom and prayer are the foundation and guiding principles for all interventions at Bedrock Counseling Ministries. Jonathan Durst is a man that strives to love God with all of his heart and is continually broken by both God’s goodness and His direction. He has been married to his stunningly beautiful, long-suffering wife, Carmen for almost 20 years. They have 3 children; 2 girls, Alicia and Gabriela and Jonathan has a clone named Matthew. They are incredible treasures and reminders of God’s infinite power, love, and Jon’s humanity. Ministry has always been part of his life. After being raised in a ministry home, the miracle of Jonathan’s salvation as a young adult catapulted him toward a life of service for those in need, first as a pastor in the Ohio District of the Assemblies of God and later as a counselor. Jonathan is licensed in New York State and is nationally certified as a professional clinical counselor. He received his BA from St. John’s University in Psychology and his MA from Ashland Theological Seminary in Clinical Pastoral Counseling. Jonathan has also helped train future Christian counselors as an adjunct instructor with Ashland Theological Seminary. Jonathan and his family relocated to Upstate New York to be clinical director of EMERGE Ministries’ first satellite center located in Syracuse, New York. God has most recently orchestrated Jonathan to be founder of BEDROCK Counseling Ministries. BEDROCK Counseling Ministries is a Christian Outpatient Counseling center. Marlene began working with Bedrock Counseling Ministries in April of 2013; she is a woman of God full of integrity, joy and grace. After graduating from the University of Rochester with a Bachelor of Science in Nursing in 1966, Marlene obtained her Registered Nurse license, which allows her to travel on missions’ trips with medical teams. In 1988 Marlene graduated from Westchester Institute of Psychoanalysis and Psychotherapy with a License as a Psychoanalyst. 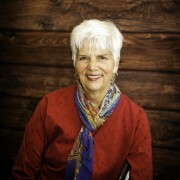 Marlene was ordained by the Assemblies of God in 2003. With over 25 years of counseling experience, her training, and her extensive life experience as a mother, pastor’s wife, nurse, and minister, Marlene is uniquely gifted to counsel ministers, minister’s spouses, couples, and families. Marlene and her husband, Clayton, have 5 amazing children and 18 grandchildren. Sometimes the burdens of life feels too much for us to carry on our own, and we need someone to come along side us or walk us through a difficult time in our life towards hope and healing. Crystal would consider it an honor and a privilege to assist you on that path. She has personally experienced God’s never­ending grace and love in her life and would love to be able to help you find that peace. 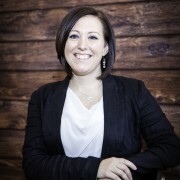 Crystal grew up in Pulaski, New York, attended Cedarville University for her bachelor’s in Psychology and attended Syracuse University for her Master’s in Social Work. Crystal is currently working towards her clinical licensure. Crystal has experience working with children, adolescents, adults, couples, and families. She has worked in both inpatient and community based agencies. She has extensive knowledge of resources in the community. Crystal has been married to her amazing husband for 15 years, she enjoys outdoor activities, reading, and photographing her children’s antics. Crystal is the newest member of our Bedrock family. 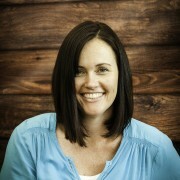 Alissa Frank joined Bedrock Counseling Ministries July 2013. She is the mother of two precious children, Ethan and Madeline. Alissa was raised in a ministerial home and served in many ways in the church alongside her family. Throughout her life, she has been involved in Youth and Children ministries in a variety of leadership roles. Alissa volunteered at a Crisis Pregnancy Center. She graduated from Valley Forge with a BA in Pastoral Counseling. Recognizing Gods love, strength and power, she feels compelled to help those around her and is excited to be a part of helping the various needs that walk through the doors of Bedrock Counseling Center. Joel joined Bedrock in July of 2013. After receiving his degree in marketing from Syracuse University, Joel went on to receive his Master’s in Business Administration. He has worked in a variety of fields but has always been drawn to the non-profit sector focusing on mental health and family restoration. Being raised in a ministry home has been a blessing to Joel and helped form his understanding of Christ’s redemptive power. 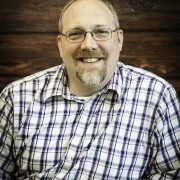 Throughout his life, Joel has assisted in children’s ministries, youth ministries, and men’s ministries. Joel is constantly inspired and distracted by his 3 amazing children Benjamin, Abigail, and Isaiah. He is eternally grateful for the gift of God’s love in his wife Juli and the blessing she is in their family’s life.